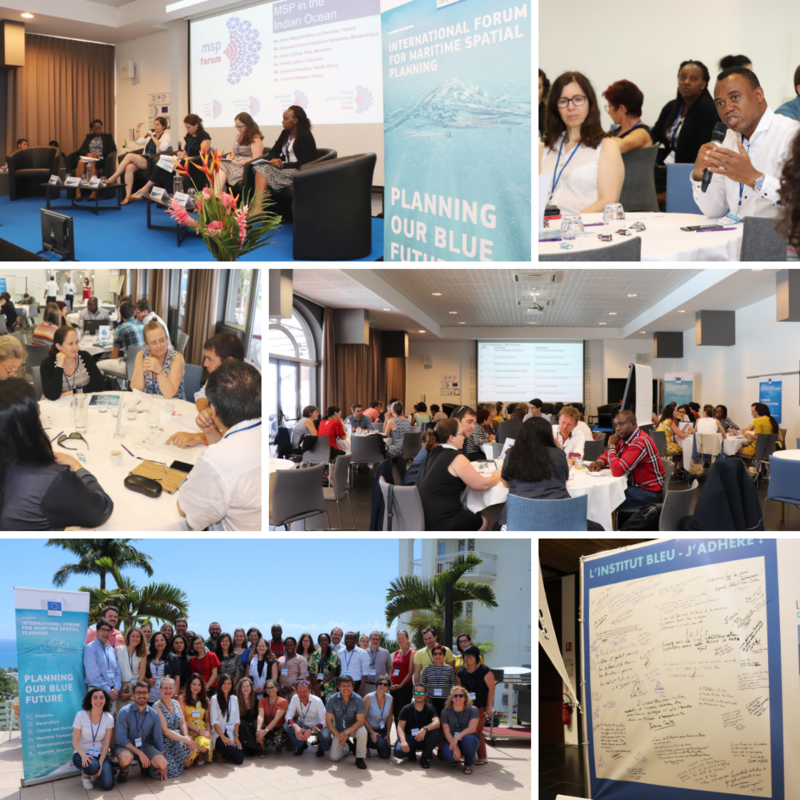 Réunion Island, France, 1 April 2019 – In parallel to the Blue Economy Week organized by the region of Réunion Island, France, over 50 participants from more than 20 nationalities engaged with local stakeholders and exchanged good practices on the management and protection of marine space during the second edition of the International Forum for Marine Spatial Planning (MSPforum) between 26-29 March 2019. The MSPforum aims at improving mutual understanding of Marine/Maritime Spatial Planning (MSP) by sharing examples of different planning processes worldwide, including national MSP objectives, priorities and actions being undertaken or planned. Established in 2017 by the European Commission’s Directorate-General for Maritime Affairs and Fisheries (DG MARE) and UNESCO’s Intergovernmental Oceanographic Commission (IOC-UNESCO), its results will feed into their new MSPglobal joint initiative to develop international guidelines on cross-border and transboundary MSP. Three panel discussions on the status of MSP in the Indian Ocean, stakeholder engagement and the sustainable blue economy allowed participants to learn about the experiences of national practitioners on issues related to transboundary MSP, funding, the science-policy interface and economic growth. In particular, both speakers and participants highlighted the need to develop and provide an open stream of conversation where all sectors – regardless of size, power or stake in the sea of a specific region – can interact and be involved in MSP activities, as well as communicate in a sustained way throughout the process. In that sense, ocean literacy is key to strengthen understanding of the benefits of MSP for stakeholders and society at large and increase their involvement. Three technical workshops on land-sea interaction and integrated coastal zone management, sectors and stakeholders involved in MSP and the blue economy were organized in an interactive format. Participants were divided into thematic groups related to the workshop’s topic to create synergies and shared their outputs to help build new knowledge to inform, guide and support MSP at global scale. © MSPglobal – Second edition of the MSPforum organized in Réunion Island, France, between 26-29 March 2019. A half day was dedicated to visiting and exchanging with local stakeholders in Réunion Island to understand their needs and problems within the processes of MSP and the blue economy, their synergies with other stakeholder groups and more generally their relationship with the ocean. The forum participants split into groups to meet representatives of public administration, energy, fisheries, tourism and civil society. Specific institutions were identified and contacted to request visits for the first three groups, while for tourism and civil society the stakeholders were randomly approached in the city center of Saint Denis. The groups then presented their findings and results during the afternoon’s plenary session. Throughout the MSPforum, several networking events provided participants with the opportunity to get to know each other as well as meet other people from maritime sectors, such as a reception organized by the Vice-President of the region, Ms. Yolaine Costes, in the framework of the Blue Economy Week and launch of the new “Blue Institute” of Réunion Island. This workshop follows the first edition that took place in Brussels, Belgium (May 2018). The next MSPforums are planned in Vigo, Spain, and Riga, Latvia, in May and November 2019 respectively.